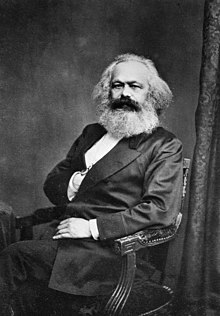 Karl Marx saw capitalism as a historical stage, once progressive but which would eventually stagnate due to internal contradictions and would eventually be followed by socialism. Marx claimed that capitalism was nothing more than a necessary stepping stone for the progression of man, which would then face a political revolution before embracing the classless society. Marxists define capital as "a social, economic relation" between people (rather than between people and things). In this sense they seek to abolish capital. They believe that private ownership of the means of production enriches capitalists (owners of capital) at the expense of workers ("the rich get richer, and the poor get poorer"). In brief, they argue that the owners of the means of production do not work and therefore exploit the workerforce. 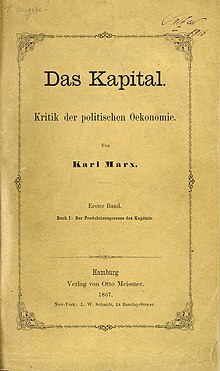 In Karl Marx's view, the capitalists would eventually accumulate more and more capital impoverishing the working class, creating the social conditions for a revolution that would overthrow the institutions of capitalism. Private ownership over the means of production and distribution is seen as a dependency of non-owning classes on the ruling class, and ultimately a source of restriction of human freedom. Fascists opposed both international socialism and free market capitalism, arguing that their views represented a third position. They claimed to provide a realistic economic alternative that was neither laissez-faire capitalism nor communism. 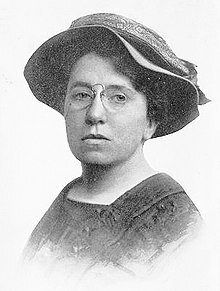 They favored corporatism and class collaboration, believing that the existence of inequality and social hierarchy was beneficial (contrary to the views of socialists), while also arguing that the state had a role in mediating relations between classes (contrary to the views of liberal capitalists). ^ "Socialism". Oxford English Dictionary. ^ "Socialism". Encyclopædia Britannica. 2008. ^ Fred Magdoff and Michael D. Yates. "What Needs To Be Done: A Socialist View". Monthly Review. Retrieved 2014-02-23. ^ Engels, Fredrich. Socialism: Utopian and Scientific. Retrieved October 30, 2010, from Marxists.org: http://www.marxists.org/archive/marx/works/1880/soc-utop/ch03.htm, "The bourgeoisie demonstrated to be a superfluous class. All its social functions are now performed by salaried employees." ^ a b Marx and Engels Selected Works, Lawrence and Wishart, 1968, p. 40. Capitalist property relations put a "fetter" on the productive forces. ^ in Encyclopædia Britannica (2009). 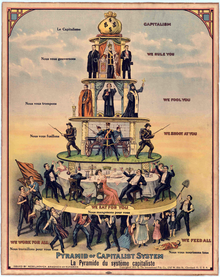 Retrieved October 14, 2009, from Encyclopædia Britannica Online: http://www.britannica.com/EBchecked/topic/551569/socialism, "Main" summary: "Socialists complain that capitalism necessarily leads to unfair and exploitative concentrations of wealth and power in the hands of the relative few who emerge victorious from free-market competition—people who then use their wealth and power to reinforce their dominance in society." ^ a b Goldman 2003, p. 283. ^ Lorenzo Kom'boa Ervin. "G.6 What are the ideas of Max Stirner? in An Anarchist FAQ". Infoshop.org. Archived from the original on 2010-11-23. Retrieved 2010-09-20. ^ a b Goldman, Emma. Anarchism and Other Essays. 3rd ed. 1917. New York: Dover Publications Inc., 1969., p. 54. ^ "Conversation with Noam Chomsky, p. 2 of 5". Globetrotter.berkeley.edu. Retrieved August 16, 2011. ^ Marx, Theories of Surplus Value, III, p. 501. ^ Marx, Karl. "Letter from Marx To his Father In Trier". Marxist.org. Retrieved 15 March 2016. ^ Immanuel, Wallerstein (September 1974). "The Rise and Future Demise of the World Capitalist System: Concepts for Comparative Analysis" (PDF). Comparative Studies in Society and History. 16 (4): 387–415. Retrieved 20 July 2012. ^ Philip Morgan, Fascism in Europe, 1919-1945", New York, Taylor & Francis, 2003, p. 168.